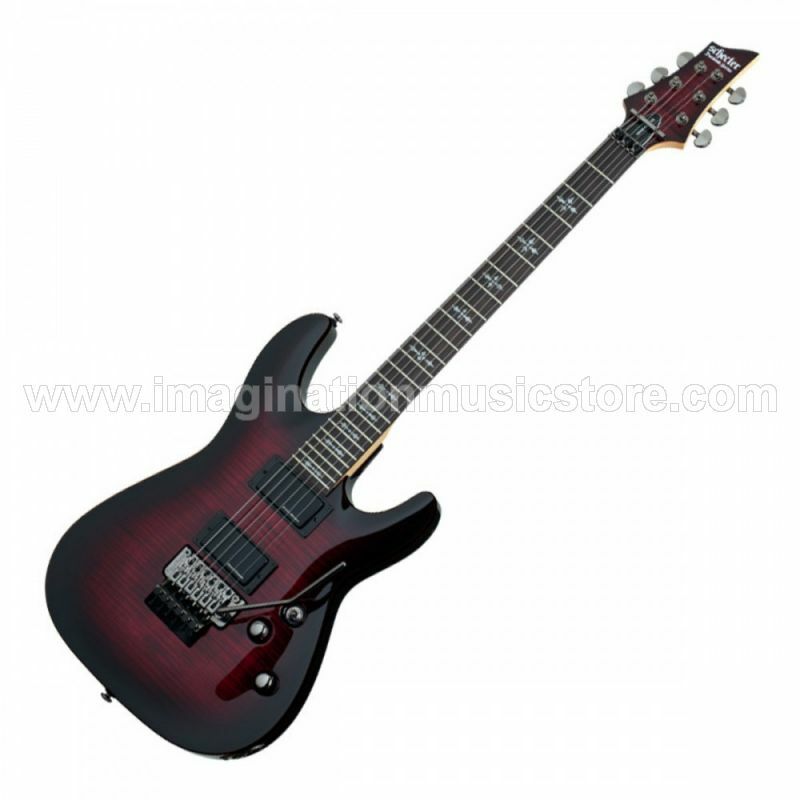 he Schecter Demon-6 FR is a weapon designed for metal and metal alone. The active Duncan Designed humbuckers have an enormous output with brutal crushing lows and surgically precise highs and just beg for high gain distortion and huge riffs. The Floyd Rose Special lets you get really nasty with punishing dive bombs and whammy action for out of this world sounds! Finished with a gorgeous flame maple top in a Crimson Red Burst!